Canon is a well known brand among photography and videography enthusiasts as a camera maker. But did you knew that they also manufacture printers? Well, you might have. Cuz they are popular in the printer industry. 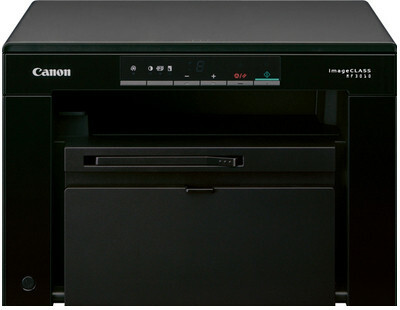 Canon has expanded to many horizons apart from their imaging products and printers business is one of its extensions. This Japanese brand is more than 80 years old firm, which now sells photocopiers, scanners, and printers. Listed as the tenth largest company in their home country, Canon is a brand that is quite popular in international markets like USA, Canada, UK, and India among other countries. If you are looking for a canon printer experience, then, this model is something you’d like to purchase. This Canon Image Class printer price in India starts at Rs 12,000 and once you get to know the highlights of the specs sheet, you’ll probably think its worth investing in this one. Offering print, scan, and copy, all three functions in a single printer. Unfortunately, the only thing that this lacks in is the media size support. It only supports A4 size sheet. And that is a real deal breaker for some users. Canon Image Class MF3010 Printer full specs and reviews as of Apr 2019. Buy it here!